Of course, our unmatched selection of archive fashion is only half of the picture without a dedicated team of on-point stylists to back it up. Happy hunting! Made in Italy. Style: Lace Up. Category: Boots. 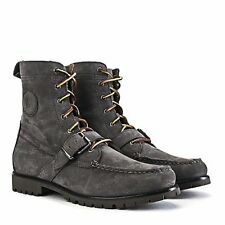 Ralph Lauren Mens Leather Shearling Boots Size 9. Condition is Pre-owned. Shipped with UPS Ground. Shoes are worn and in good condition overall. Laces are black. Color of boots are hunter green. STYLE: NORBECK HIGH BOOT. COLOR: BLACK. Size 9D US. 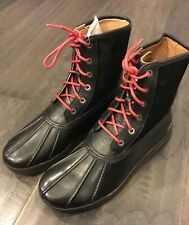 Ralph Lauren Chelsea ankle leather boots. Dark Brown. - Burnished leather upper. They do show normal signs of wear including minor scuffs, creases, etc. txzj pxzj2835 txzj67. GOOD: This item is just that, but too good to pass up. WEAR AS IS OR YOU SHINE/POLISH BOOTS/SHOES. RECIEVED IN CONDITION SHOWN. READY TO WEAR. STYLE: SHOES. SOLID - Light signs of character which may have a small spot or slight signs of use or missing button. Make Supersized Seem Small. We strive to get your to you faster than lightning. Get Images that. Good outer shape. Interior lining is kind of ripped up. Proceeds from sales help to support our mission. Boots are in very good condition. ((( SHOE TREES NOT INCLUDED ))).